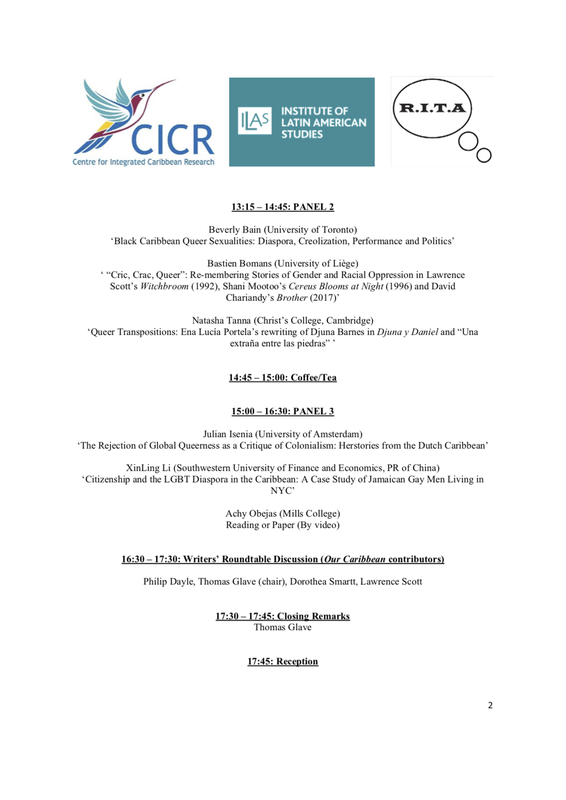 The Race in the Americas (RITA) group is delighted to announce that the Southern Political Science Association (SPSA) has presented the 2019 V.O. Key Award for Best Book on Southern Politics to James O. Heath’s To Face Down Dixie: South Carolina’s War on the Supreme Court in the Age of Civil Rights (LSU Press, 2017). After seven exciting years, Race in the Americas – a non-profit, non-funded group that has no university affiliation – is thrilled to receive this gesture of recognition from a major academic organisation. To Face Down Dixie is available on Amazon. RITA is not currently running events, but details will be posted here if and when we do. 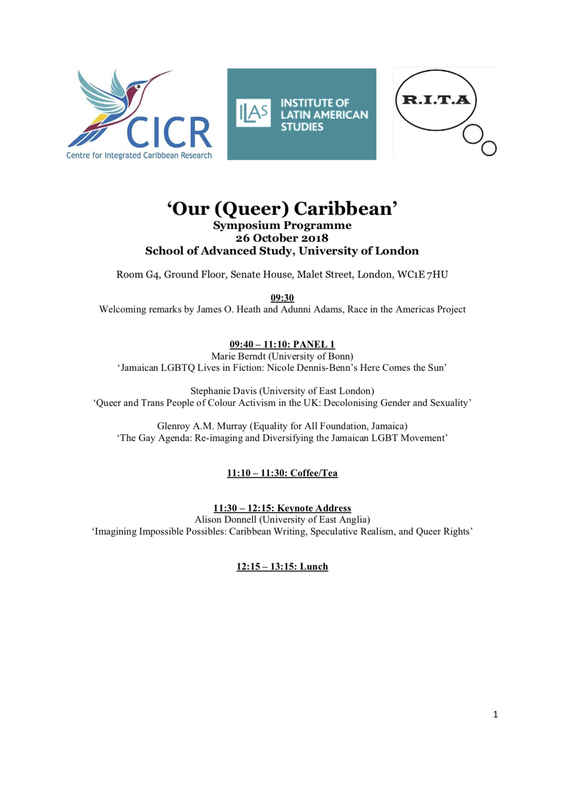 Thanks to everyone who made the ‘Our Queer Caribbean’ event at the School of Advanced Study such a great success.